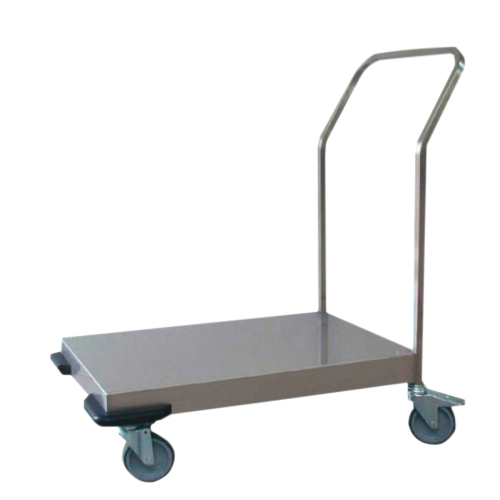 Universal load trolley made of high-grade steel. 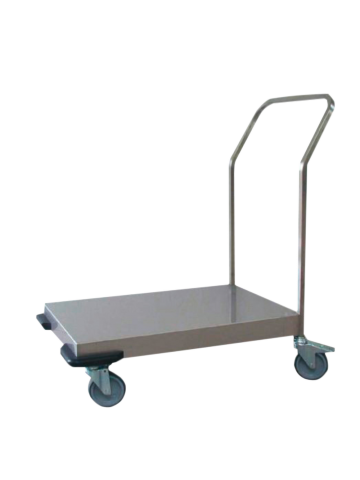 Hygienic construction without gutter corners, with straight sheet platform, all-round trimmed edges. 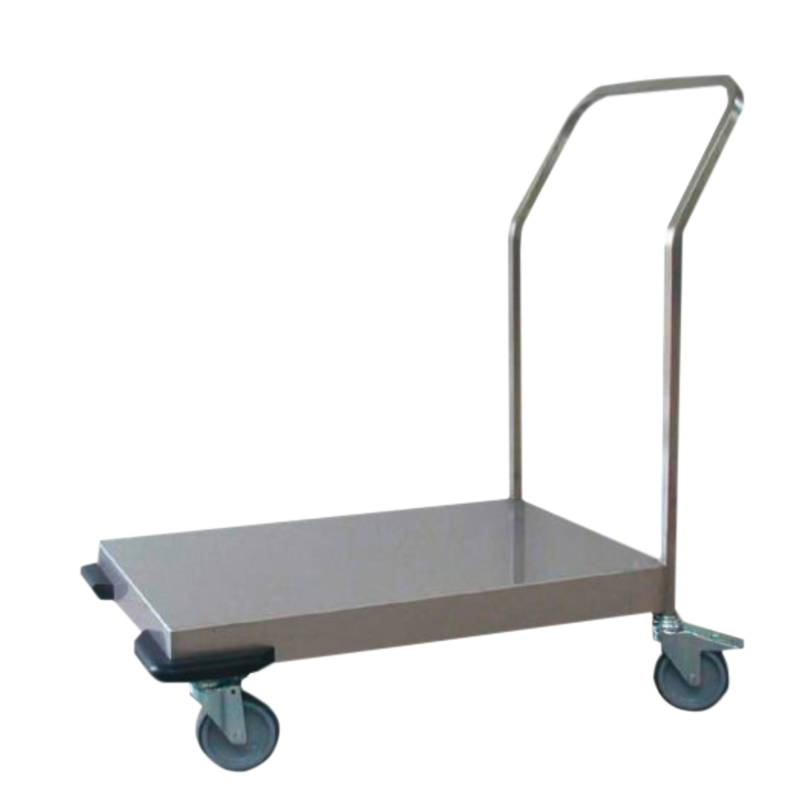 Easily movable through 4 large steering rolls, 2 are lockable.